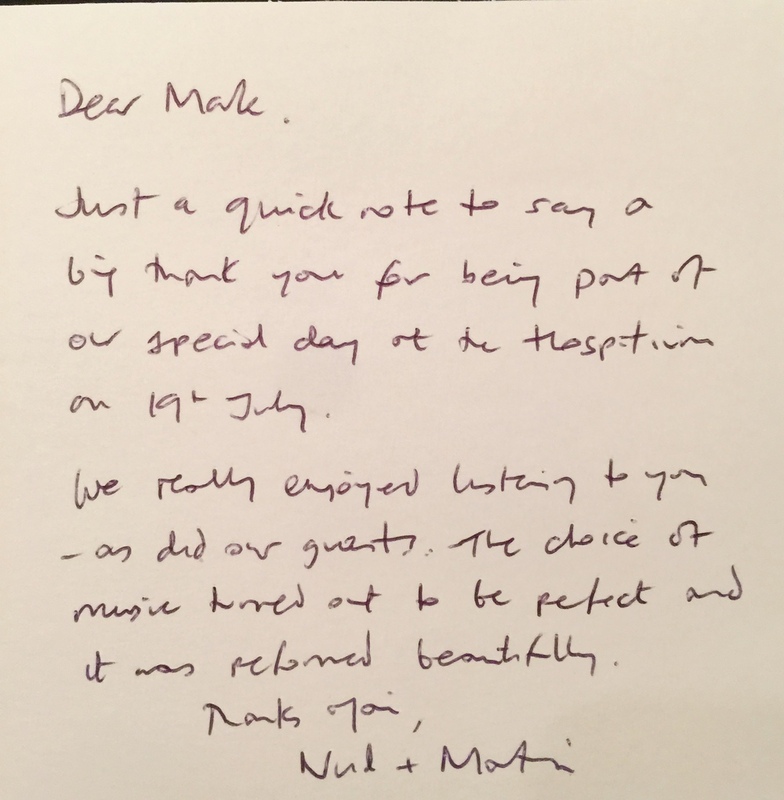 Mark, I would like to thank you for an excellent performance you gave at the evening in December. The range and variety of songs you sang not only complimented the evening, it enhanced it beyond belief and made for a perfect evening. I am so grateful for the manner in which you were able to accommodate a diverse age range with music appealing to young and old, but of most importance was the professional manner in which you conducted yourself without once making any one individual feel they were asking you to sing the impossible.